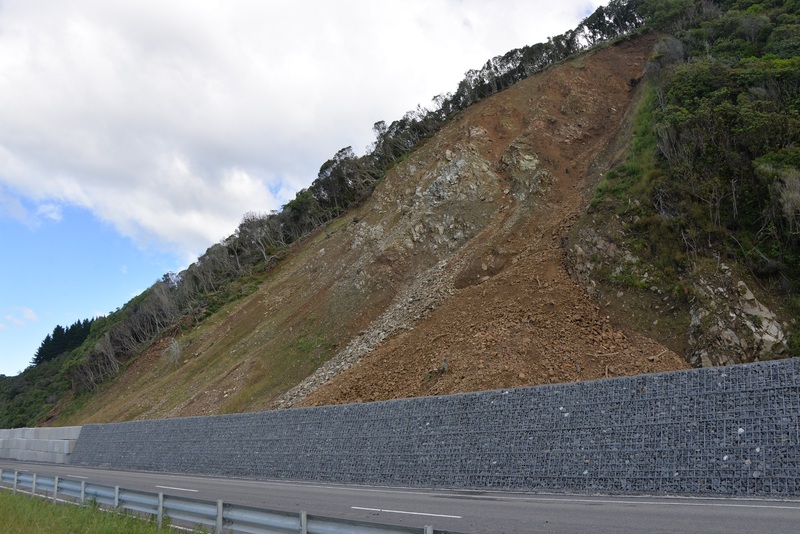 Rockfall embankments provide protection to infrastructure and property over of a wider area than barrier fence systems. They are also able to contain or divert larger volumes of rock falls than stand alone barrier fences. Rockfall protection embankments are ideal solutions where it is not possible to intercept or prevent falling rock. Rockfall protection embankments are passive systems and an ideal solution when surface stabilisation systems cannot be installed (e.g. for very wide slopes) or where interception of falling rocks is not possible due to the whole slope being inaccessible. The location (distance from the slope), the height and the size of the embankment is evaluated in relation to the slope morphology, the characteristics of the area and the kinetic energy of the falling rocks. The structure is assembled with units made of double twisted wire mesh, heavily galvanized with Galmac® (Zn - Al 5%), and polymer (self-extinguish PVC) coated steel wire adding excellent durability. Rockfall Embankments are commonly used as protection from natural hazards, landslides, rock falls, avalanches, hydro-geologic problems. Reduces embankment footprint and steepens slope face. Minimal if any displacement of the embankment on the down side of the embankment means the system can be installed close to the area requiring protection. Cost effective ($ per kJ) capacity. Allows for an environmentally and aesthetically friendly solution. Double twist mesh coated with Galmac and thermally bonded PVC. Gives excellent durability for every location. Allows site won material to be reused. Each rockfall embankment is designed specifically to suit site requirements. Our team can assist with preparation of design suggestions. Get in touch with our team to determine if a a rockfall embankment is the right solution for your situation.